Last edited by MrPiper on Thu Sep 15, 2016 8:32 pm, edited 1 time in total. Do they make one stuffed with fries? If they do I'll take one of each along with a diet Coke. 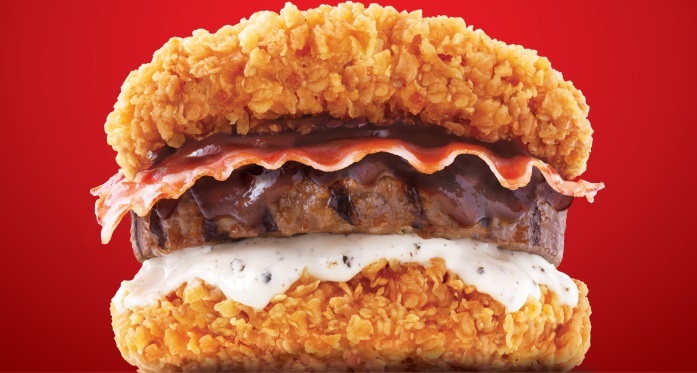 It is technically in Korea but it is an extention of 'Merica. Last edited by MrPiper on Thu Sep 15, 2016 8:31 pm, edited 1 time in total. I feel like I need to run a malware check now. Winton wrote: One of my co-workers today admitted that she once got a speeding ticket for doing 90 mph in a parking lot. I've never been a good multitasker. ADD makes it pretty hard. However, last night my wife and I were watching TV and I had my laptop open to CPS and was playing a game on my phone. All at the same time. My wife was confused about a plot-point in the program we were watching (live) and I was able to explain it to her. jruegg wrote: I've never been a good multitasker. ADD makes it pretty hard. However, last night my wife and I were watching TV and I had my laptop open to CPS and was playing a game on my phone. All at the same time. My wife was confused about a plot-point in the program we were watching (live) and I was able to explain it to her. Blame it on the vaccines.